So here you are, planning that big hunting trip out West. After all that time researching, applying and waiting, it’s finally time to start putting this fall’s hunt together. Whether you finally drew a coveted tag into a limited entry unit in Wyoming, you are planning to hunt over the counter in Colorado, or you’re just going along to help a buddy fill his tag out West this fall; renting top quality optics for your hunt makes perfect sense. Hunt budgets are tight, and factors like time away from work, the cost of food and travel, lodging expenses, and even the cost of a western big game tag itself can stretch dollars to the max. Don’t let a tight budget force you to settle when it comes to top quality optics on your dream hunt. For most of us, hunting out of state, especially going West for the big game only happens when the stars align. It may be a once in a lifetime hunt for bighorn sheep, or maybe once every few years to pursue elk or antelope. Whatever the case, you should consider the clear advantage of renting superb optics to make the best of both your limited time in the field and your limited hunting budget. Renting top quality gear for your trip out West is one of the best ways to put your hunting dollars to work and put quality optics in your hunting pack. Check Outside is your go-to partner to outfit amazing optics on your dream hunt, making sure you’re set up with the best optics possible in your pack. There are plenty of options to choose from to fit your hunt when it comes to renting hunting optics from Check Outside. In the big country of the west, quality glass is essential to bringing the sharpest far off details into focus. For a fraction of the investment of buying top of the line optics, hunters can rent Swarovski spotting scopes and binoculars as an essential tool in pursuit of their western trophy. Consider this Swarovski ATS-65-20-60X spotting scope. This amazing spotting scope utilizes the highest quality lenses, setting industry standards for quality and clarity. Reaching across long expanses miles away, and bringing far away objects into focus when you are hunting or scouting is a reality for hunters behind this spotter. For just $145 / week you can rent an industry leading spotting scope for your hunt! For the cost of a Saturday night out, you can add a top quality optic to your gear list. Not only do you have use of the scope for your weeks hunt, but a lightweight, quick adjusting tripod, and a weatherproof case are included. All of a sudden, one of the most costly portions of a Western big game hunting setup becomes one of the most reasonable. The Swarovski ATS-65-20-60X spotting scope retails for over $2,200, and that doesn’t include a tripod or a case. Quick math says you can rent the Swarovski spotting scope for over 15 weeks of hunting before you could buy one for the same investment! If you make it out for 1 week a season chasing antelope, elk, or deer scouting with a spotting scope, that’s 15 years of hunts! Maybe you can only work out a big hunt out West every other year, or you’re building points for premium unit hunts every other season; if that’s the case you can hunt for 30 years renting a premium scope for the same expense of buying one today! 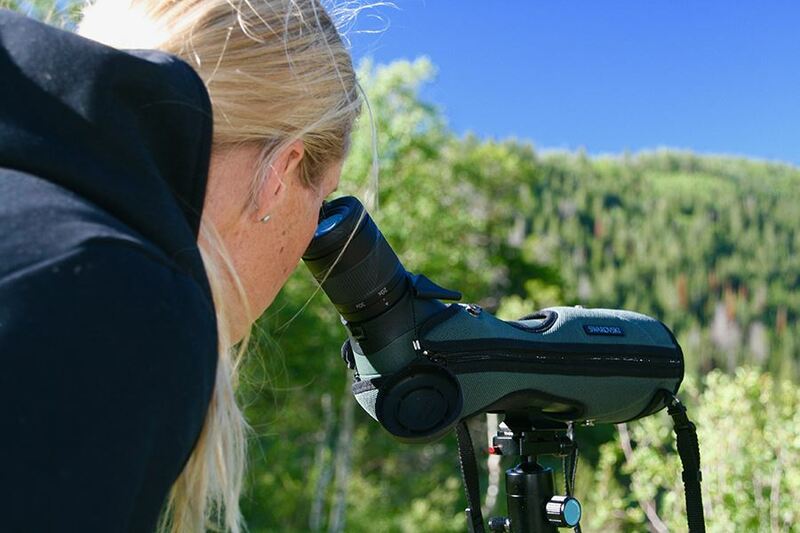 These Swarovski EL 10X42 Binoculars are great for scanning western landscapes, basins, and mountainsides. Swarovski binoculars offer unmatched clarity and quality and are a critical tool in your hunt kit arsenal. The ability to rent such a critical piece of equipment at a reasonable price offers an instant upgrade in quality for the money. Most hunters have a pair of binoculars sitting around, maybe even two. Quality, however, should be a major consideration when you’re about to embark on a hunt of a lifetime. Leave those discount store binoculars at home, and improve your whole hunt with the top of the line binoculars for a fraction of the cost of buying. Renting the Swarovski EL 10X42 from Check Outside comes in at only $110.00 a week. Odds are, you’re out of state big game tag cost 4 to 8 times the investment of renting top quality optics for a weeks hunt. Buying a pair of Swarovski EL 10X42 Binoculars will set you back almost three grand! While you can’t argue these are amazing quality optics, and worth the price, that’s a huge investment for most hunters. Divide $2900 by the $110 / week to rent from Check Outside and you can see that you can rent for over 26 weeks before you make the equal investment to a purchase. Renting these incredible binoculars for a week equals out to under $16 a day. When you consider all the investments you make in hunting trips and gear, it’s hard to find a better return on value than Swarovski Binoculars for just $16 a day! Partnering with Check Outside for your western big game hunts is a no-brainer. Not only do they offer great deals on spotting scopes and binocular rentals, but you can find great options on rangefinders and rifle scopes for your hunt as well. Renting optics for your Western hunt is the ideal way to invest your hard-earned dollars into top quality gear, and get the most bang for your buck! Don’t stop at just optics for your hunt when you’re exploring renting options for your next big hunt. Check Outside offers terrific opportunities when it comes to outfitting the rest of your hunt, and the gear you need. 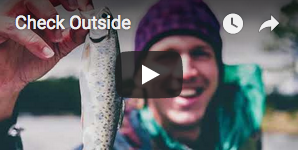 From hunting packs to tents, and big game decoys to GPS units; renting gear from Check Outside for your outdoor adventures offers hunters an amazing opportunity to put your hunting dollars to work! Hey, You! You’re good! By signing up you’ll be joining Check Outside’s exclusive membership. We send cool emails full of awesome stuff, including interactive content, tips & hot deals on rentals and gear. © Copyright Check Outside 2018. All Rights Reserved.